The Wall Breaker is one of many Regular Troops in the Clash of Clans game. Nothing warms a Wall Breaker’s cold and undead heart like blowing up walls. A squad of them will make way for your ground units, and they will do it with a BANG! 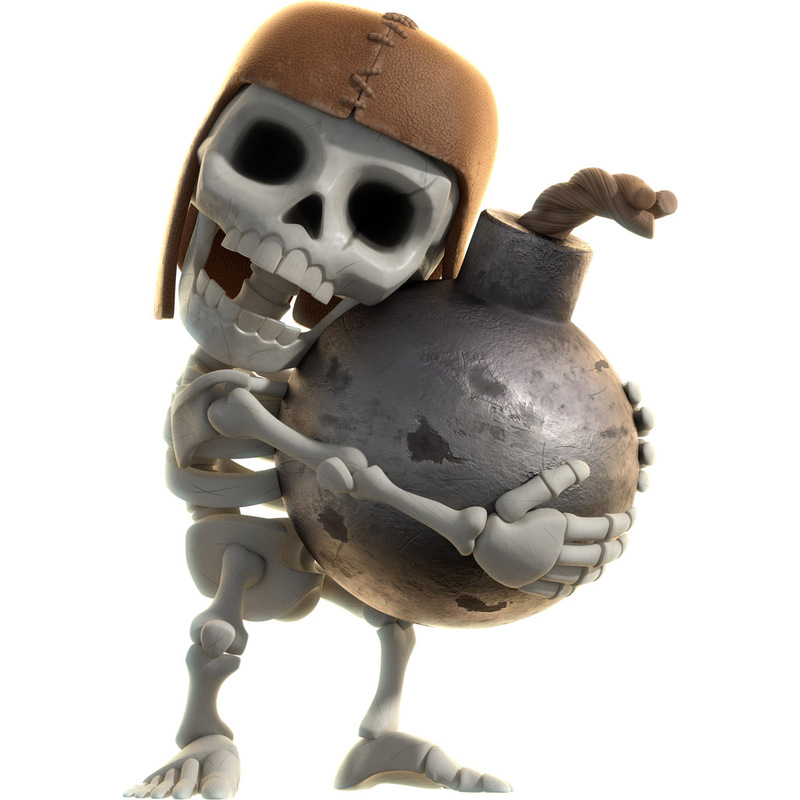 The Wall Breaker is the fifth overall troop unlocked in the Barracks. The Wall Breaker’s appearance is that of a small skeleton that wears a brown aviator hat and has a small scar across its right eye socket. It carries a large bomb. The Wall Breaker attacks by locating the nearest protected building and destroying its protective Wall by blowing itself up kamikaze style. It deals splash damage around its target and deals 40x damage to Walls. 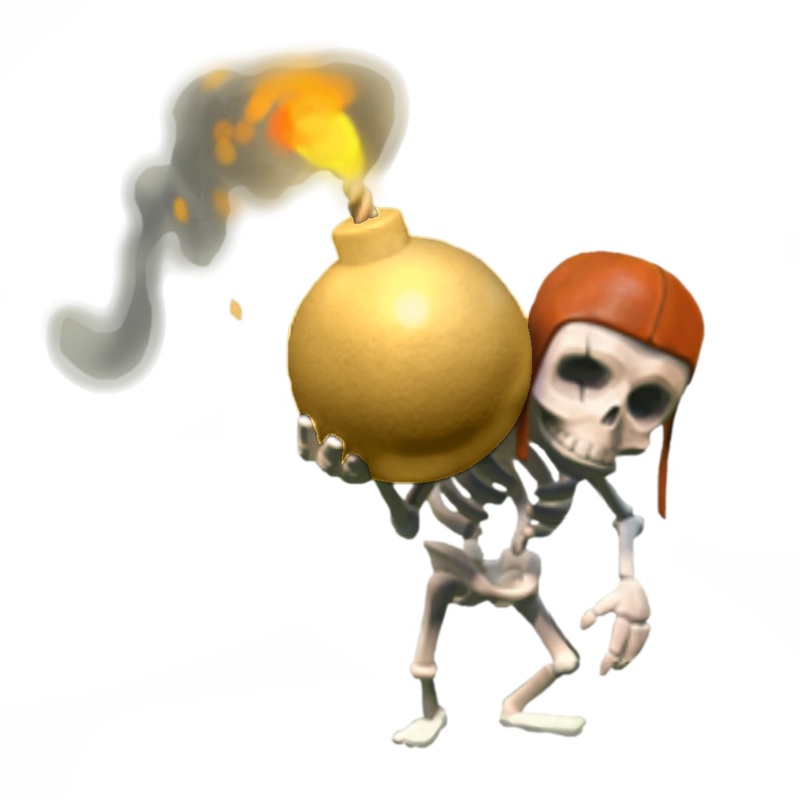 Upon dealing damage, Wall Breakers will perish (regardless if they damage a Wall, building or enemy Troop). Wall Breakers prioritize Walls above all other targets, and will completely ignore any Building or enemy Troop while even a single segment of Wall exists on the battlefield. If all Wall segments are destroyed, Wall Breakers become like any other Troop with no preferred target and will attack the nearest building to them regardless of type (although they still blow themselves up in their single attack). 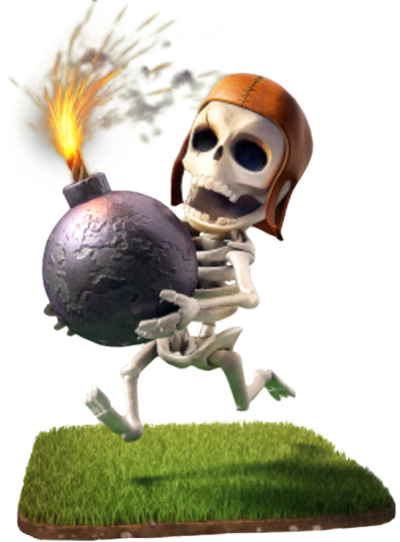 If (once all Walls are destroyed) they happen to become aware of an enemy Troop, Hero or Skeleton Trap skeleton prior to completion of their attack, they will change targets to attack the enemy Unit instead. Description of common tactics of usage a Giant on a battlefield is Here. At level 3, the bomb that the Wall Breaker is holding becomes larger. At level 5, the Wall Breaker’s bomb turns golden. At level 6, the Wall Breaker exchanges its bomb for a barrel of explosives, similar of that to part of a Giant Bomb. The Wall Breaker is one of two Troops of which the picture in the Barracks resembles an upgraded version, the other being the Dragon. If there are no Walls and you deploy a Wall Breaker, it will run to the nearest building and blow itself up. However, it will do much less damage to the building compared to what it can do against Walls, e.g. a level 5 Wall Breaker will do only 46 damage to a building, whereas it will do 1,840 damage to a Wall. 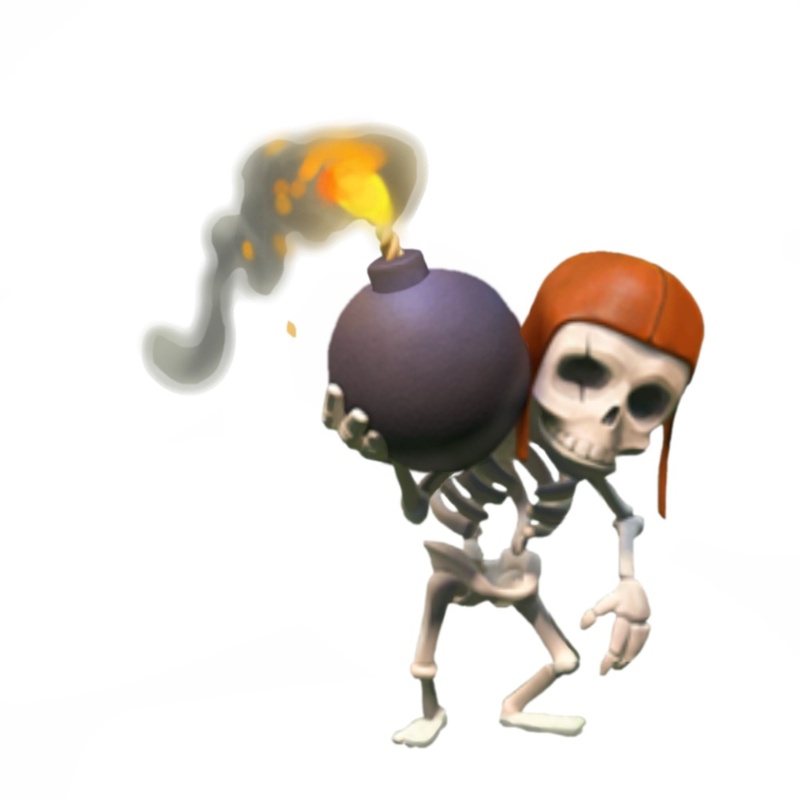 When Wall Breakers are sent to your Clan Castle, during an attack they will target the attackers and blow themselves up, which makes it a bad Troop to be donated for defensive purposes. When attacking, they are also pretty much useless, since they come out in large groups (like 5-10 at a time), blowing up a lot of Walls if they survive, but they may also die from a single Mortar shot. It is also quite rare for the remaining Wall Breakers to blow up the first layer of Wall and the compartment inside. Wall Breakers can be useful in the Clan Castle for low level players, though. If the low level player doesn’t have Wall Breakers unlocked or the Wall Breakers are low level, a high level Wall Breaker or two in the Clan can really help them. You can have a maximum of 120 Wall Breakers at one time in a complete set of fully upgraded Army Camps. 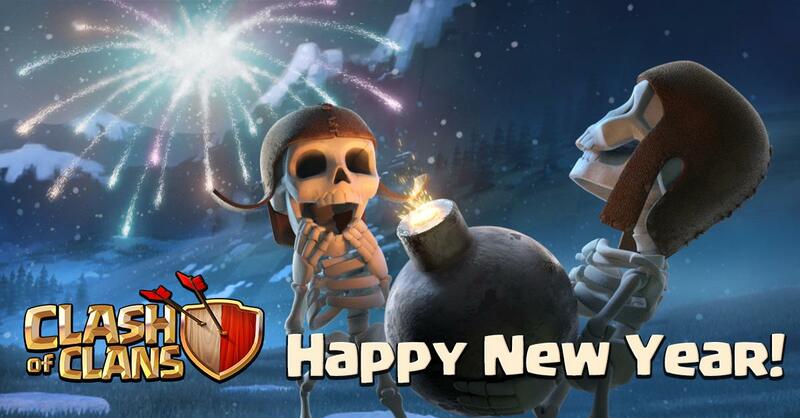 This number increases to 137 if you include the 17 that can fit into a fully upgraded Clan Castle. Note: Having this many Wall Breakers is highly discouraged (only second to an all-Healer army) as your Army will end up breaking nothing other than Walls. Wall Breakers take up two spaces in your Army Camp as of the March 12, 2013 update. Prior to this update the Wall Breaker took up only a single housing space. Balloons are “promoted” Wall Breakers. Wall Breakers resemble dead Builders since both of them have similar leather hats. In the Chinese language setting of the game, the Wall Breaker is called “Bomberman” literally, which could be a reference to the Hudson game Bomberman, in which the player-controlled Bomberman break through walls with his bombs, although this could be wrong because the Chinese meaning of Bomberman can also mean demolitionist.